WASHINGTON - Ted Cruz, the Calgary-born conservative darling, has made a big splash in just five months as a U.S. senator — and now he's apparently eyeing a run for president with the support of the very Tea Party crowd that has bitterly alleged U.S. President Barack Obama wasn't born in the United States. The conservative National Review reported Wednesday that the Texas lawmaker is considering a presidential bid in 2016. Cruz was born in Calgary in 1970 to an American mother and a Cuban father — an immigrant to the U.S. during the Cuban revolution — while the couple worked in the oil business. The Cruz family returned to the U.S. when he was four years old; the senator grew up in Texas. Shortly after his Senate win in November, Cruz brushed off any suggestion that his Calgary birthplace would disqualify him from running for president. The U.S. Constitution requires presidents to be "natural-born citizens," but what is precisely meant by that phrase isn't defined in the text of the Constitution and has never been directly addressed by the Supreme Court. The requirement, however, is why Obama foes ranging from Tea Party disciples to Donald Trump have been branding the president an illegitimate commander-in-chief for years, alleging he was born in Kenya. "The Constitution requires that one be a natural-born citizen, and my mother was a U.S. citizen when I was born," Cruz said in November. So too, of course, was Obama's Kansas-born mother. Neither man's fathers were U.S. citizens when their sons were born; Cruz's father, Rafael, didn't become a citizen until 2005. Trump said recently he hadn't yet decided whether he's a "Cruz birther" — someone who believes the senator isn't qualified to run for president — because he hasn't fully "studied his situation." But he added that Cruz is "very different" from Obama because the 42-year-old senator "has been very candid and open about his place of birth and his background." Cal Jillson, a political science professor at Southern Methodist University in Dallas, marvelled at the apparent amnesia of the so-called Obama birthers who now have no apparent problem with Cruz's birthplace. "Most political arguments are made in the heat of the moment with very little sense of how they'll work over time," he said. 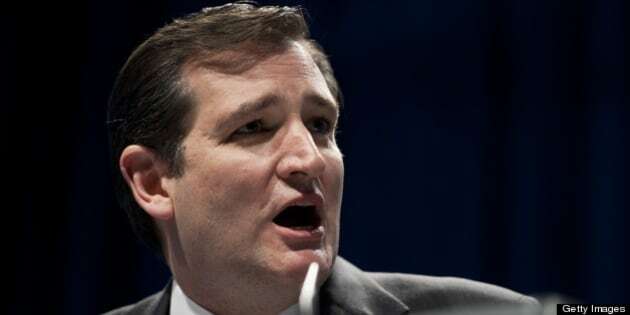 "The Tea Party needed an argument about Obama, so they chose to allege that he wasn't a native-born American, but down the road that argument has come back to bite them because of Cruz. And Cruz, meantime, has just skipped right out of the way, denying the argument applies to him." Jillson pointed out that Jennifer Granholm, the former Michigan governor who was also born in Canada, has taken a different view than Cruz's when it comes to presidential aspirations. "She's never really resisted suggestions that she probably could never run for president, but when people think great things are in store for them, they argue that the rules may not apply to them," he said. The hypocrisy has resulted in an outbreak of mirth-making in the U.S. from various websites, satirical and otherwise. "Once upon a time, real America-loving Americans understood that you have to be borned in America — real America, not that bogus semi-American Kenyan state of Hawaii — if you want to be president," read a post on Wonkette.com, a D.C.-based site that mercilessly mocks American politicians. "But that was so long ago that we've all forgotten about that. Where you are borned does not matter if you heart America enough, so shut up, racists, because it is time to give this fine young Canadian a chance." The Atlantic ran this headline on a piece about how outdated and biased the Constitutional citizenship requirements are: "There Are Many Reasons Ted Cruz Probably Won't Be President, But His Place of Birth Won't Be One." Tea Party adherents are enamoured with Cruz for a variety of stands he's taken, including his vocal opposition to Obama's modest gun control proposals. The freshman senator threatened with great fanfare last month to block even a debate on the measures. During Senate hearings earlier this year on gun control proposals, he also subjected gun control advocates to often hostile questioning. He's also been battling fellow freshman senator Marco Rubio — a Cuban-American — about the Florida legislator's immigration reform proposals, while publicly calling out his fellow Republicans as "a bunch of squishes" for chastising him on his proposed gun control filibuster. Cruz therefore hasn't won many friends among establishment Republicans. That's only caused his stock to soar among Tea Party adherents who believe the dreaded moderate RINOs — Republicans in Name Only — are plotting to shift the party closer to the centre of the political spectrum. His fierce questioning in February of Chuck Hagel, Obama's nominee for defence secretary, drew criticism from some of his Republican colleagues and also prompted comparisons to Sen. Joseph McCarthy, the infamous anti-communist crusader of the 1950s. Last month, Cruz's announcement that he plans to deliver an address at a Republican event this Friday in the key primary state of South Carolina spurred speculation that he was pondering a presidential run. "If he thinks this country needs bold leadership, he’s not going to shy away," a former Cruz colleague told the National Review on condition of anonymity. "He is one of the most confident people I know, and he'd run to win." Jillson, however, doubts a successful presidential run is in the cards for Cruz. "I don't even predict he'll be a long-term senator."